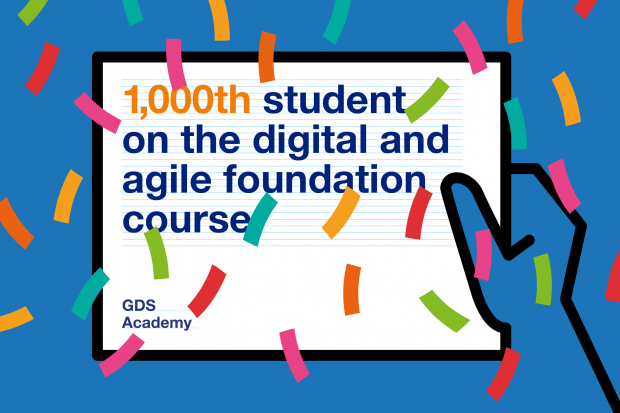 Today the GDS Academy celebrates the 1,000th graduate from its digital and agile foundation course. This 10-day course - an introduction to agile and digital in government - has been running since the Academy began. The GDS Academy launched as the DWP Digital Academy in February 2014. Back then the Academy was training people at the Department for Work and Pensions. Classes were held in a room above the Fulham Jobcentre. A lot has changed since those early days. 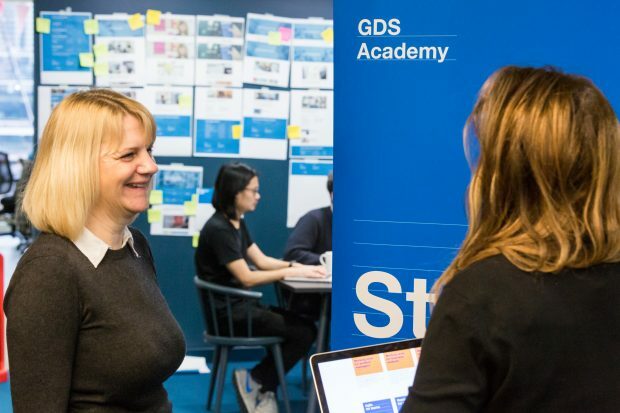 The Digital Academy became the GDS Academy last year. It now runs at sites across Leeds, London, Manchester and Newcastle and has trained more than 7,800 civil servants, helping to build digital skills and capability across government. In this blog post, we speak to 4 graduates of the foundation course, to find out how the academy has helped them take their digital careers to the next level. And we hear from GDS Academy Business Manager Lara Stevenson about how the Academy has grown. 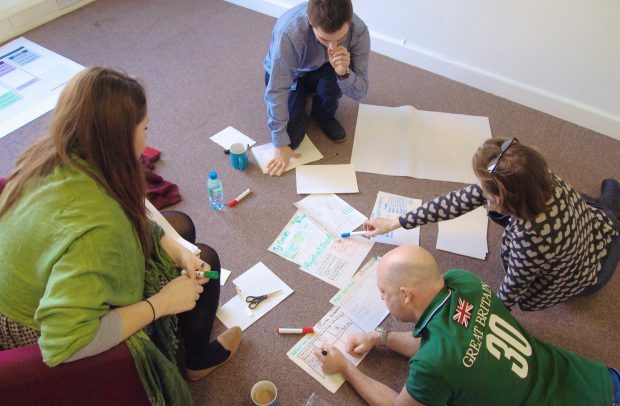 “Before I went on the foundation course, agile was just a vaguely useful set of concepts. After attending the course I became a full-on agile amateur. I realised that there were so many people out there thinking about basically the same kinds of organisational problems. I joined Twitter within a week of graduating and have spent the 2 years since then wringing out every last drop of expertise from people all over the world. I’ve attended agile events and met incredible people from all kinds of sectors. And I’ve read books on design, engineering and computing that have changed the way I think about my own practice, Behavioural Science. The modern digital community is like a sweet-shop of ideas and tools for solving the problems I work on, and the Academy has been the most wonderful shop-window. “Doing the course gave me the foundation to build my career in the Digital, Data and Technology (DDaT) profession. It has helped me to think in an agile way. One thing I found really interesting and useful was that the course involved working on a project. This meant that we got a chance to use all the techniques that we were learning. “I was a student on the very first digital and agile foundation course in February 2014. I had led several teams on traditional projects and as an Implementation Lead I had first-hand experience of the problems associated with the delivery of large IT projects as front-line operations. The Academy taught me how services should be built around user needs and how ongoing testing of prototypes could reduce service risk. After I graduated from the course I worked as a Business Analyst on a cross-departmental DWP/HMRC team, working on transforming a service where customers could find out what their State Pension would be at their State Pension Age. This enabled me to consolidate all the things I had learned on the course and the team went on to win a number of awards - including the 2016 Civil Service Digital Award. “Taking the foundation course gave me not just the tools to do a better job but also got me in the right state of mind to work better as a part of a team, and to focus on delivering valuable outcomes for our users. “I’ve been in the Academy since it was first created and it’s been such an exciting journey - never in our wildest imagination did we think that we’d be offering our services nationally and across government. It was such a proud moment when we hit 100 students, so 1,000 is incredible. Are you one of the 1,000 graduates of the course? Share your memory and tag your classmates as part of the celebrations on Twitter @GDSacademy using the hashtag #GDSacademy. Visit GDS Academy for a list of courses. What do we mean when we talk about services?